Everything about this system is stylish and easy to locate, which makes getting ready a breeze. The artistic cabinetry created by California Closets features adjustable glass shelving to store a variety of accessories, perfumes and purses. 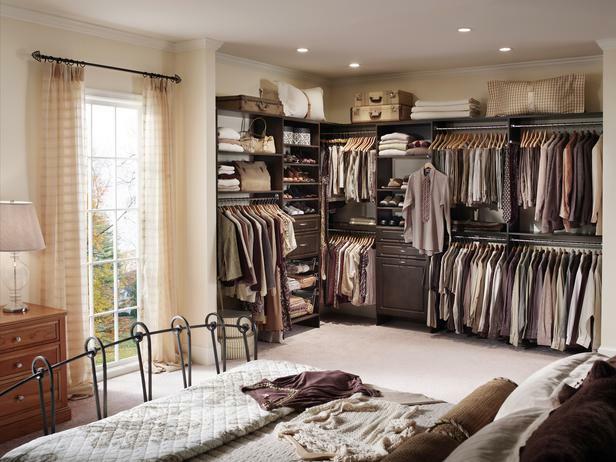 This wardrobe is created in a room that lacks any existing closet space. Designed by ClosetMaid, this functional focal point utilizes a balance of drawers, shevles and hanging space to store clothing and accessories. Timeless, custom cabinetry with full-height storage neatly displays his and her belongings. 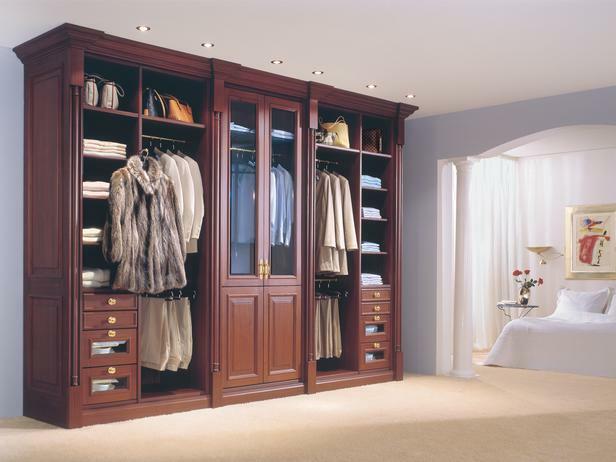 This closet system, designed by Studio Becker, is made from Mahogany and can easily pass for a fine antique. Getting ready for a night out on the town is a treat in this space. Recessed lighting and elegant velvet curtains create a dramatic effect, showcasing this custom-designed, ClosetMaid wardrobe.